PM Narendra Modi tweeted in Marathi, which translates to "Happy Gudi Padwa Greetings to the Marathi brothers and Sisters from Maharashtra and around the world! In the coming New Year, let us enjoy happiness, good health, and prosperity." 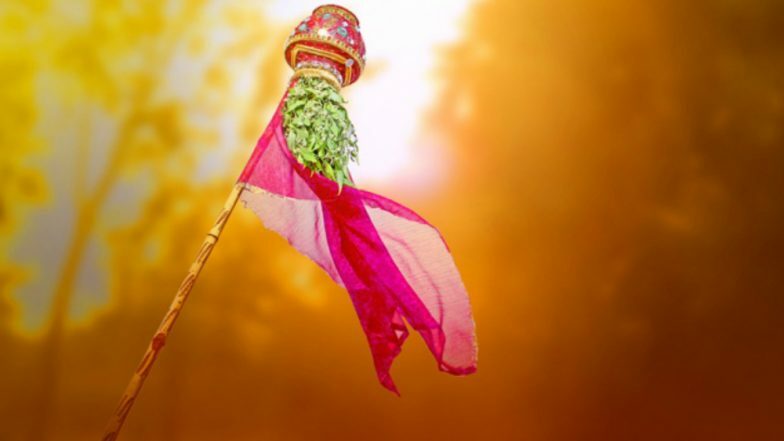 Gudi Padwa 2019 Date: Know Significance of The Festival of Chaitra Sukladi, Which Marks Beginning of Hindu New Year. Venkaiah Naidu while greeting people in a Twitter post said, "I convey my warm greetings and best wishes to the people of our country on the joyous and auspicious occasion of ‘#Ugadi, #GudiPadwa , #ChaitraSukladi and #ChetiChand’. Ugadi marks the beginning to the new month ‘Chaitra’ and brings new hope, new joy and happiness." Here's How to Make a Gudi at Home. "Wishing you all #GudiPadwa and auspicious new beginnings on the very special day of a brand new year, that promises success and progress in all spheres," said Suresh Prabhu. Meanwhile, it is worth to know that this day is also celebrated as Ugadi, the new year for Karnataka, Andhra Pradesh, and Telangana. It is also celebrated as Navreh, New year's day for Kashmiri Pandits.